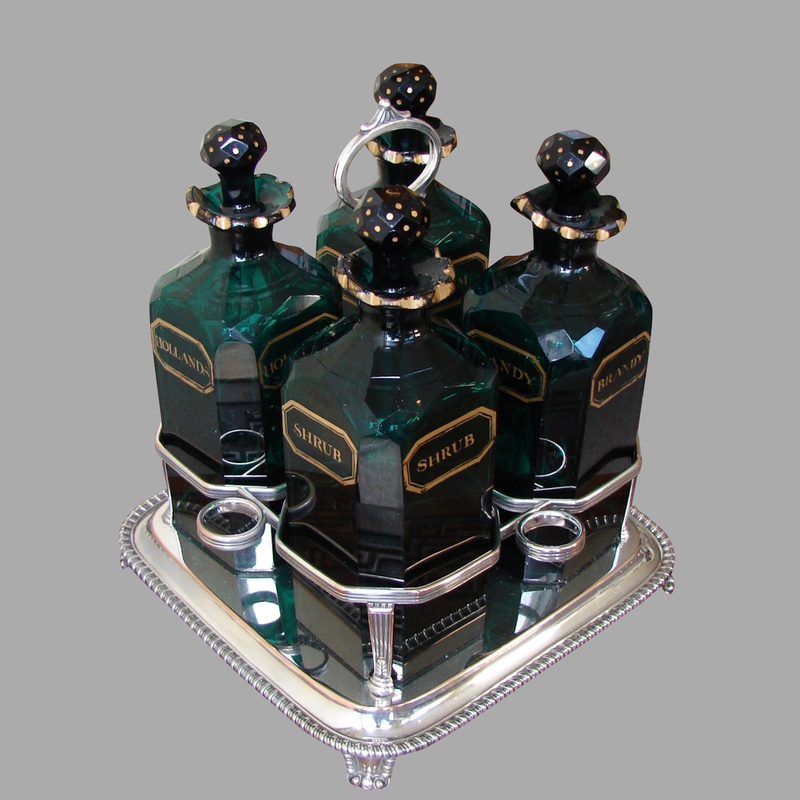 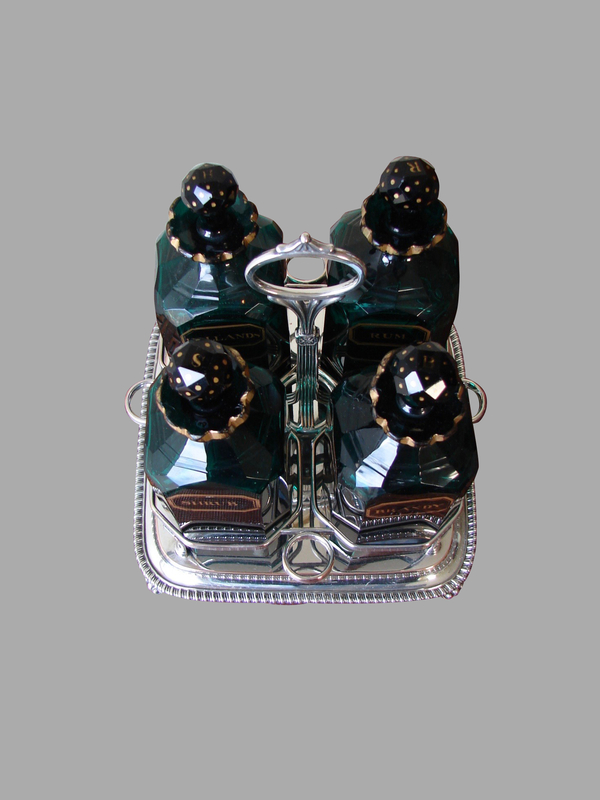 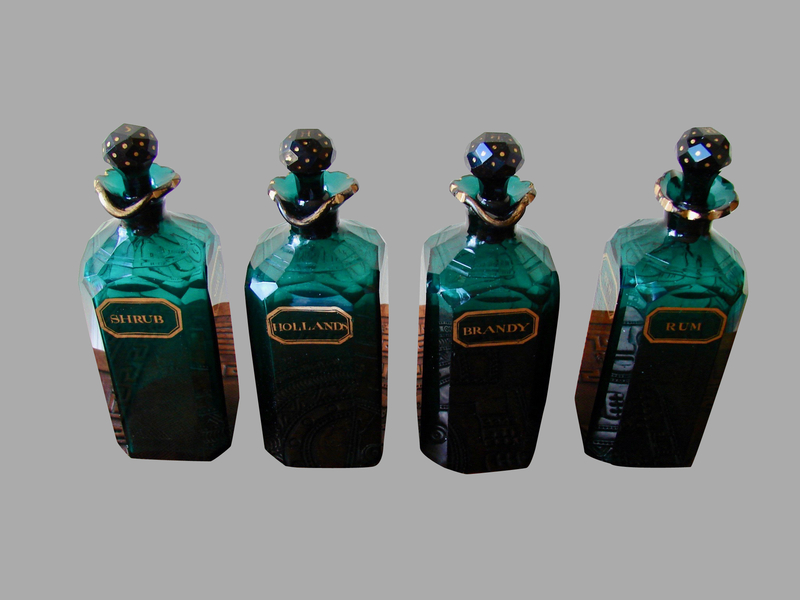 A rare English decanter set, the Old Sheffield plate frame holding 4 faceted green blown glass decanters with gilt decoration labeled "Brandy" "Shrub" "Hollands" and "Rum". 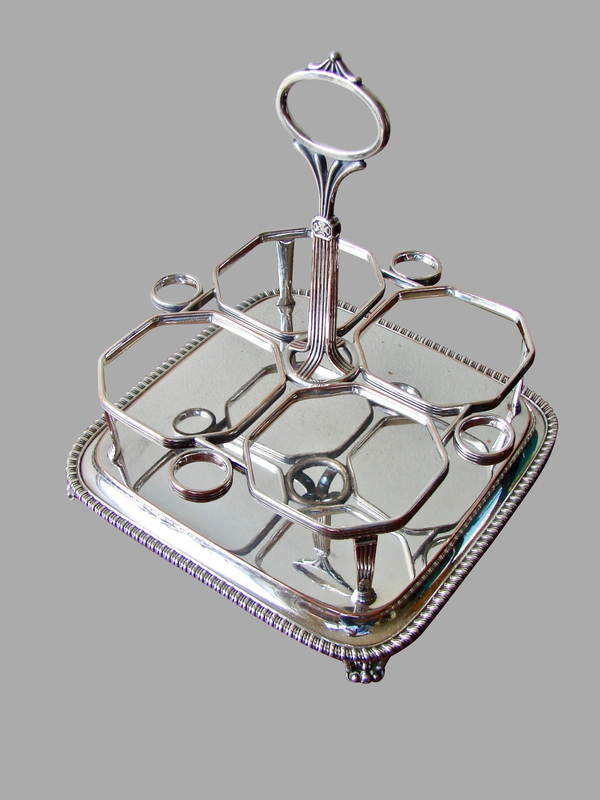 Circa 1800-1820. 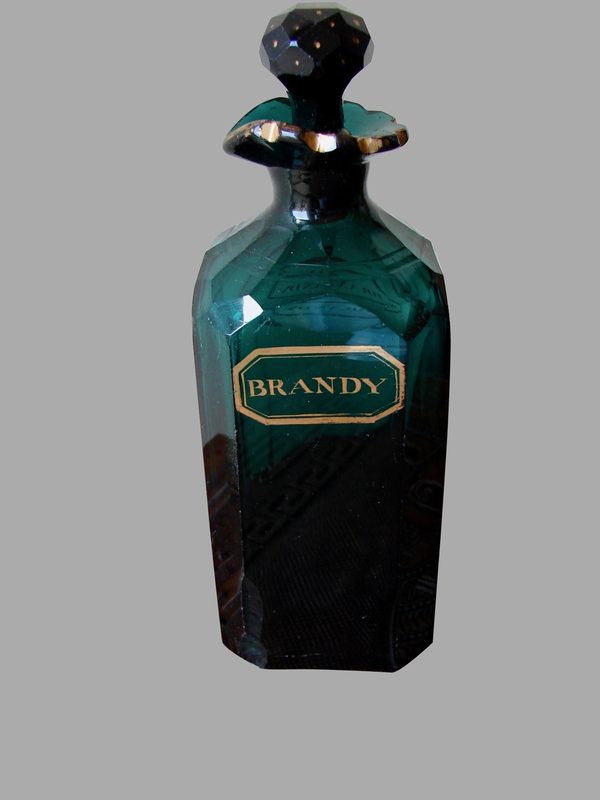 One decanter with minor damage at base.